Ubisoft's "Just" series continues with Just Sing, hitting the current gen consoles next month. No need for any special peripherals this time around, however, as it will use an app that you can just download to your phone to sync up with the game. The companion app that will be available for iOS and Android phones will act as both your camera and microphone for Just Sing. Just turn the phone around like you're taking a "selfie," and then perform away! There are filters you can use to add cats, robots, and other effects. 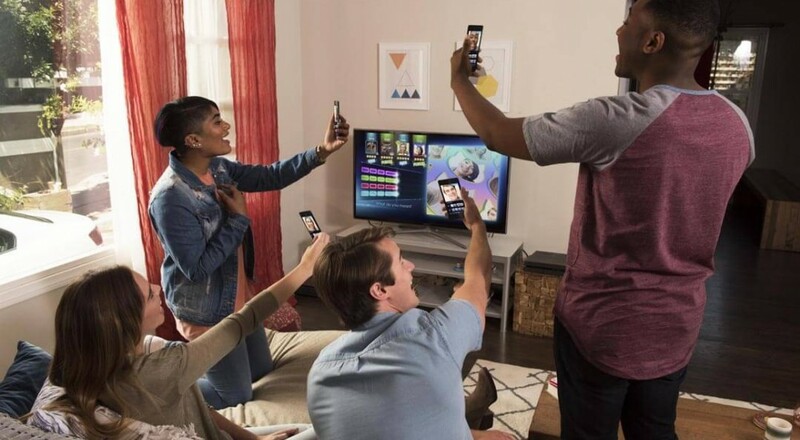 In the "Party Mode" you and up to three of your friends take turns performing whatever song you've selected, by either singing along or lip syncing to it, and getting rated based on your performance. Just Sing will be available for $29.99 on PlayStation 4 and Xbox One on September 6, 2016.